The Board of Story Contracting are pleased to announce the appointment of Jason Butterworth as Chief Executive. Jason will replace Fred Story, the founder and owner of Story Contracting who will resume the role of Chairman. Jason joins Story Contracting from Balfour Beatty and has over 15 years’ experience in the Rail Industry working for Carillion, WSP and McNicholas. Having held board positions, Jason brings with him a wealth of experience through a strong commercial and financial background particularly in organisations driving change in a growth environment. 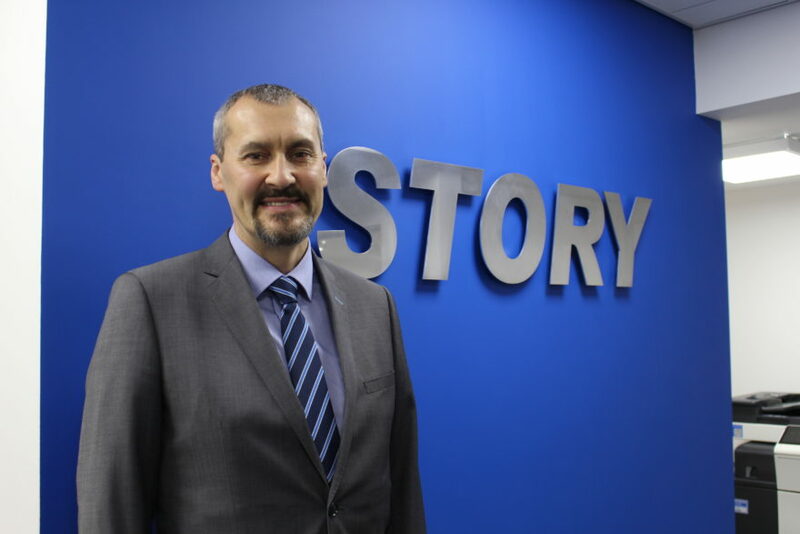 Jason will lead the business at Story Contracting as it expects to grow in all fours sectors, Plant hire, Construction, Rail and House Building by 30 per cent this year. The contracting business opened its newly extended 25,000 sq. ft. headquarters in November to accommodate the recruitment of 100 new people during the course of the next twelve months. Story Contracting is planning on merging its two offices in Scotland’s Central Belt to provide a combined depot and office base for its Rail and Plant teams.